Which Foods Contain the Most Phytonutrients? Phytonutrients are among the most beneficial properties of plant-based foods for the plants themselves and the humans who consume them. Phytonutrient –rich foods offer impressive health benefits—find out how to incorporate them into your diet. While the immediate purpose of phytonutrients is to help plants stay healthy, they also provide a variety of benefits to humans who eat the plants that contain them. Also known as phytochemicals, phytonutrients are chemicals produced by plants. There are more than 25,000 phytonutrients found in plant foods! Some common phytonutrients are carotenoids like lutein, flavonoids, coumarins, indoles, isoflavones, lignans, organosulfates and plant sterols. Carotenoids are found in the cells of a many red, orange and yellow plants and vegetables. They help plants absorb light energy for photosynthesis. While the immediate purpose of phytonutrients is to help plants stay healthy, they also provide a variety of benefits to humans who eat the plants that contain them. Although not considered essential nutrients to human life like carbohydrates, protein, fats, vitamins and minerals, phytonutrient-rich foods are known to significantly improve human well-being. How Do Phytonutrients Benefit Human Health? Many phytonutrients possess antioxidants—compounds that help prevent or stop cell damage. They are also believed to protect the body from cancer by preventing carcinogens from developing into cancer and making cancer cells more likely to self-destruct. 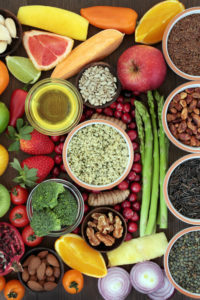 Phytonutrients have also been shown to reduce the risk of heart disease, stroke, Alzheimer’s and Parkinson’s disease, and people who follow plant-based diets have reported improved digestion, increased energy and better sleeping along with significant improvement in their physical function, general health, vitality and mental health. It’s hard to imagine how a tiny chemical can accomplish that much! Which Foods Are the Best Source of Phytonutrients? An easy way to tell if a plant is rich in phytonutrients is by its colour. Many phytonutrients give plants their rich pigment; for example, tomatoes and watermelon get their red color from the phytonutrient lycopene. Other fruits and vegetables with deep hues like berries, dark greens, melons and spices are visible sources of phytonutrients. However, there are some exceptions as foods, like onions and garlic, that are packed with phytonutrients but boast little colour, so don’t avoid them. Kale. Often touted as a superfood, kale is well known as a popular nutrient-dense vegetable. This dark, leafy green is used in a variety of dishes from salads to smoothies to garnishes and contains over 50 phytonutrients, including kaempferol and quercetin. Kaempferol is an antioxidant shown to protect the body against cancer-promoting free radicals. While preventing cancer cells from growing, kaempferol preserves the health of normal cells and has even been observed to protected normal cells. Quercetin is an antioxidant flavonoid also shown to protect the body against free radicals and prevent a number of diseases, including cardiovascular diseases, metabolic disorders and certain types of cancer. Blueberries. Sweet, nutritious and requiring virtually no preparation, blueberries are the perfect low-maintenance snack. These berries are full of fiber and vitamin C, and also have one of the highest concentrations of antioxidants of any fruit. Blueberries contain a number of phytonutrients, including resveratrol and anthocyanins. Resveratrol is a versatile phytonutrient with the ability to act as an anticancer agent and antioxidant. Other notable characteristics include its anti-aging, anti-frailty, anti-inflammatory, and anti-allergenic abilities. Anthocyanins are a group of phytonutrients flavonoids with anti-inflammatory and anti-carcinogenic qualities. These phytonutrients are noticeable by the red to blue hue they display, and are shown to be helpful in preventing cardiovascular disease, obesity and diabetes. Avocado. One of the producers of natural, healthy fat, avocados have been soaring in popularity as a simple snack or side. These creamy pitted fruits are shown to help prevent cardiovascular disease and contain a number of phytonutrients. Notably, avocados are rich in carotenoids, a group of phytonutrients that possess anti-aging antioxidants. They can also help enhance immune function, balance blood sugar and reduce the risk of developing cancer. 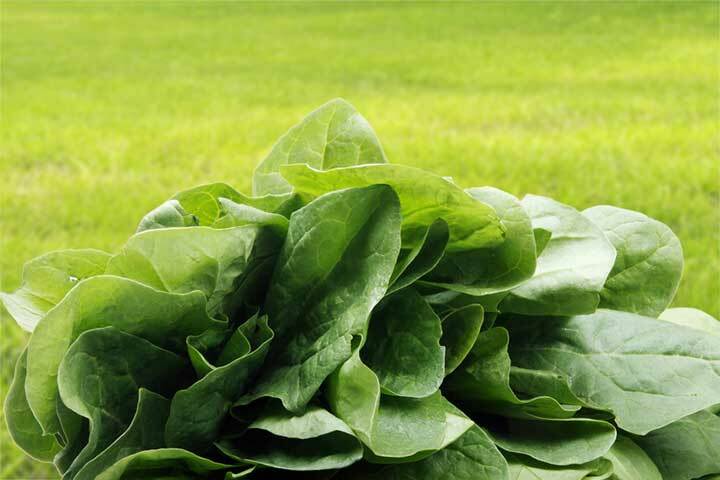 Spinach Containing high iron and nitrate concentrations, spinach is known for its positive effects on muscle strength. Spinach also contains high levels of vitamin C, vitamin K and folate, as well as a number of beneficial phytonutrients such as polyphenols and alpha lipoic acid. Another group of phytonutrients, polyphenols are also antioxidants. Long -term studies on their effects show that extended ingestion of polynutrients can help protect the body against cancer development, cardiovascular disease, diabetes, osteoporosis and neurodegenerative diseases. Alpha lipoic acid is also an antioxidant that can help prevent cell damage in the body and restore vitamin levels such as vitamin E and vitamin C.
aging, alpha lipoic acid, alzheimer, anti inflammatory, anticancer, antioxidant, antioxidants, blood sugar, cancer, cancer cells, cardiovascular, cardiovascular disease, cardiovascular diseases, carotenoids, diabetes, digestion, fiber, folate, free radicals, garlic, health, heart disease, iron, kale, lycopene, mental health, muscle, nitrate, nutrients, obesity, obesity and diabetes, osteoporosis, parkinson s disease, phytonutrients, plant sterols, polyphenols, protein, resveratrol, risk of heart disease, spices, spinach, stay healthy, strength, stroke, sugar, types of cancer, vegetables, vitamin, vitamin c, vitamin e, vitamin k, vitamins, vitamins and minerals. I thought you might be interested in this article on https://universityhealthnews.com: Which Foods Contain the Most Phytonutrients?